I have been having a lovely time in Northern Ireland, I went to the Marble Arch Caves in Fermanagh yesterday which were absolutely gorgeous. The 150 steps at the end weren't as nice though! I made a birthday card for a friend of mine yesterday when I got home and it struck me how versatile the friendly words roller ( p.62 Main Catalogue, £8.50 ) is. 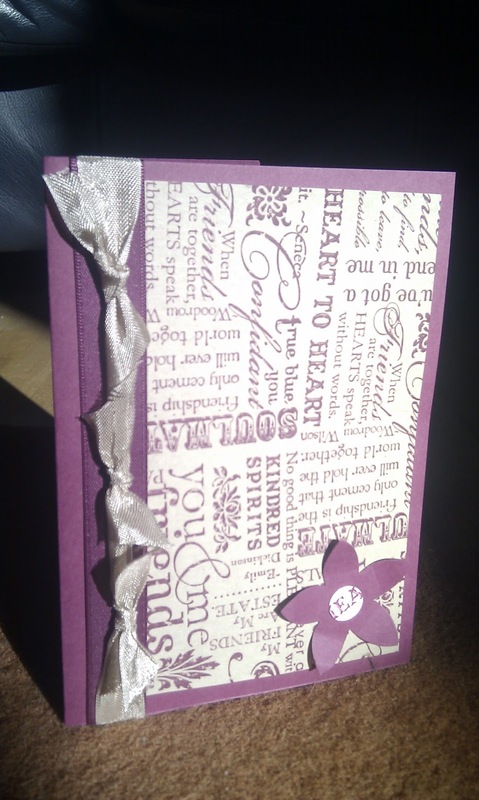 I made this card using rich razzleberry cardstock cut to A5 and folded in half. I then inked up the roller with rich razzleberry ink and rolled it on crumb cake cardstock to make my own background paper. I trimmed the crumb cake background I had then made and stuck it down. 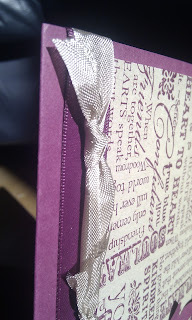 I used an offcut of rich razzleberry satin ribbon under crumb cake seam binding ribbon which I had tied in the "finger" bow to give the seam binding ribbon some depth. I thought that the one bow didn't show off the satin ribbon underneath it so I used offcuts of crumb cake seam binding ribbon to make two more bows to create a ruffled effect. I had also rollered some pretty in pink cardstock so I cut a circle out of it using my circle punch and punched a flower out of rich razzleberry cardstock. 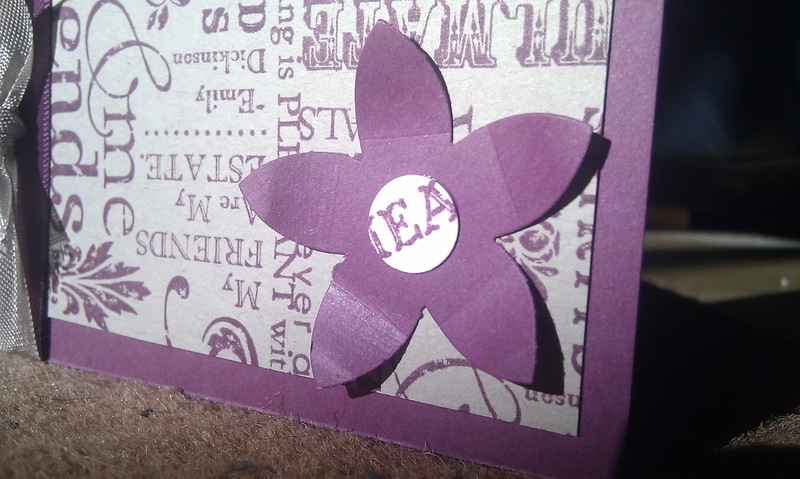 I used my bone folder to curl the edges of the petals, put the circle on as a centre and voila a card which could be used for practically any occasion just by adding the appropriate greeting. The seam binding ribbon is from the mini catalogue ( p17 ) and is available in crumb cake, rose red, pear pizzazz and baja breeze. The ribbon is so light and silky it is beautiful to work with, and at £6.25 for approximately 9 metres, it makes a lovely inexpensive accent to any card. If you would like to have the ribbon but don't think you would use all of the spool, I can post you some at £1.10 per metre including postage. Just email me which colours you would like and how much and I will send it straight to you. Until next time, keep crafty!